Schaefer standard "T" track is made from 6061-T6 aluminum. Precision machined for proper countersink depths on fastener and stop pin holes. The bottom of the track is curved to fit most spar sections or to allow for proper sealant bedding on flat surfaces. 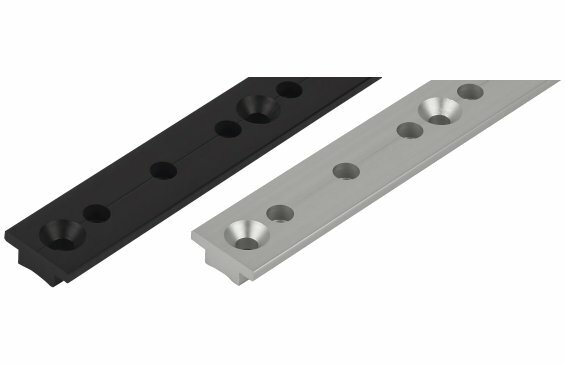 Schaefer "Race" track is the same fine quality as the standard "T" track but features three stop pin holes between fastener holes. Additional stop pin holes allow for fine adjustment of jib lead blocks to get the perfect sail shape in any wind condition. 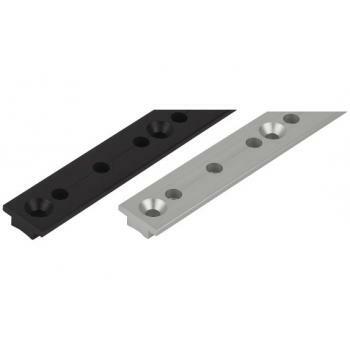 "Race" track is available in 1" and 1-1/4" Sizes with black anodized finish only.